I have not done one of these for awhile, so it is time to start catching up again. Boston returned to the postseason in 2016 for the first time since 2013. They won the A.L. East crown with a 93-69 record and had a terrific offense. Unfortunately, they were dispatched quickly in the ALDS by the Indians, failing to win a single game. Shockingly, there are not a ton of players who failed to receive cards, but there are some odd ones. Even more shocking, Ryan LaMarre actually did get a card, even though he played in just five games with six plate appearances and pitched an inning. He got a card made, but the players below did not. One of the most highly sought-after players at the trading deadline, Abad had an absolutely brutal start to his Red Sox career. He gave up a go-ahead grand slam to Robinson Cano in his first game for the Red Sox and things never really got better after that. 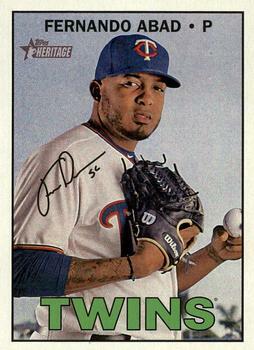 Abad was acquired in a deal with the Twins for minor league reliever Pat Light. He had been great for the Twins during the season, going 1-4 with a 2.65 ERA. However, his numbers took a dive when he was acquired by the Red Sox. His ERA ballooned to 6.39 and he was 0-2. He struck out 12 and walked eight in 12.2 innings. He was left off of the postseason roster. Despite all of that, he remained with the team in 2017. So he will be seen again. Abad appeared in a team-issued photo set. I felt good about the trade between the Mariners and Red Sox prior to the 2016 season in which the Red Sox sent Wade Miley to Seattle for relievers Elias and Carson Smith. It seemed lie that would really bolster the bullpen. Unfortunately, Smith was hurt right away and missed most of the season and Elias spent most of his tenure in Boston in the minors. He was 10-5 with a 3.60 ERA and 113 strikeouts for Pawtucket, but pitched in just three games for Boston. His games in Boston were not nearly as impressive as he had an awful 12.91 ERA and an 0-1 record. He struck out just three and walked five in a little more than seven innings. Despite that, Elias was also back in Boston in 2017 so he will also be seen again. 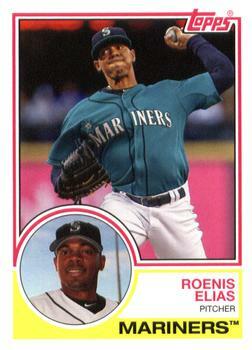 Elias appeared in a minor league set for Boston. Holaday's versatility keeps him employed in the Majors. He has played behind the plate for most of his career but has also appeared at first, second, third, left field and DH. He has also pitched on a few occasions. Holaday started the 2016 season with the Rangers after several years with the Tigers. He was selected off of waivers by the Red Sox in August and finished out the year with Boston. He appeared in 14 games and had a less-than-stellar .212/.257/.242 line. Most of his time was spent as catcher, but he had a game each at third and DH. 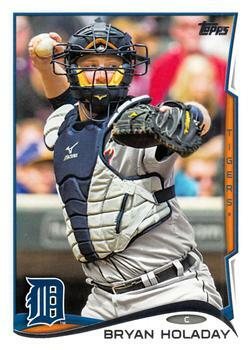 He returned to the Tigers in 2017 and then spent the entire 2018 season as a backup for the Marlins. 2016 was Layne's third and final season with the Red Sox. He never received a card despite appearing in 128 games for the Red Sox. He was decent once again for Boston, and, as typical for a lefty reliever, threw 28.2 innings in 34 games. He was 0-1 with a 3.77 ERA and notched 25 strikeouts versus 14 walks. Layne was released by the Red Sox in August and caught on with the Yankees. His numbers were marginally better for New York down the stretch, which resulted in him returning for the 2017 season. His numbers took a dive that year and he has bounced around from organization to organization since, not yet returning to the Majors. One of those stops was back with Boston. 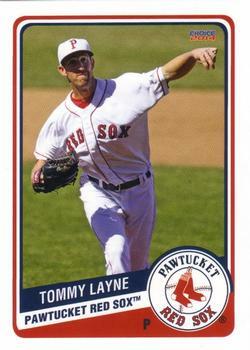 Layne does have minor league cards in the Red Sox organization. Martinez was another utility player who played briefly for the Red Sox in 2016. He has played second, third, short, and the outfield positions and also pitched once. He came up with the Phillies and played a few seasons there before moving on to Pittsburgh and Cleveland. He was fairly productive with Cleveland in 2016 before Boston purchased his contract. He played in just four games with the Red Sox, hitting .167/.286/.167. 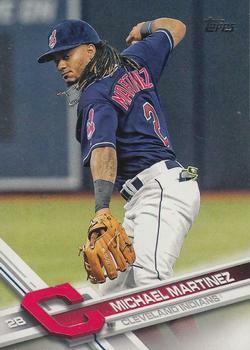 Less than two months after Boston acquired him, Martinez was selected by the Indians off waivers. He appeared in the postseason for Cleveland, mostly as a pinch runner. He split 2017 between Cleveland and Tampa Bay and has not been back in the Majors since. Originally drafted by the Red Sox in the ninth round in 2012, Miller rose fairly quickly through the Red Sox system, despite never really being considered a prospect. He had a decent season in 2014 split between a couple of minor league levels. In 2016, he played in three levels, including making his Major League debut with Boston playing second base for an inning and going hitless in his sole at-bat. Miller has remained in the minors for Boston the last couple of years and had a solid 2018 season, but he is running out of time to make it back to the Majors. 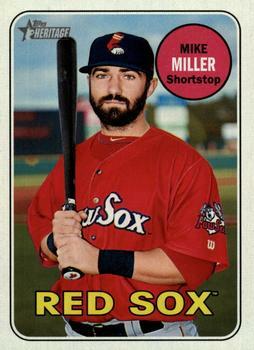 Miller does appear in several minor league sets in the Red Sox organization. 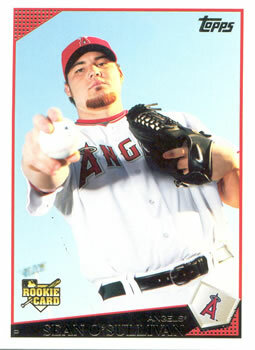 O'Sullivan was a decent prospect at one point and made his Major League debut 2009 with the Angels. He bounced around quite a bit from that point forward, appearing in games for the Royals, Padres, Phillies, and then pitching for Boston in 2016. He was 9-6 with a 4.02 ERA for Pawtucket and was called up a few times for a spot starter for the Red Sox. He was 2-0 with a 6.75 ERA in five games, including four starts with Boston. He struck out 13 and walked six in 21.1 innings. He spent 2017 in the Nationals organization before retiring from baseball. O'Sullivan does appear in minor league sets for the Red Sox. The fourth round draft pick by the Red Sox in the 2011 season, Ramirez made it back to the Majors for the second time. He spent most of the season in the minors and was 2-3 with a sparkling 1.85 ERA in 30 games as a reliever. He struck out 54 and walked just 11 in 43.2 innings in a fantastic season. Unfortunately, his numbers in the Majors were not nearly as good. He appeared in 14 games, striking out 15 and walking eight in 13 innings. He would return to the Red Sox in 2017. He will be seen again. 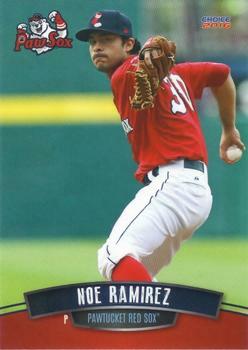 Ramirez does appear in minor league sets with the Red Sox. Slim pickings for 2016. The choice is easy for 2016 for player I am most disappointed about not receiving a card. Tommy Layne has been a runner-up for the previous two seasons and he is the only player who had anything close to resembling a decent season. So, it's Layne.